I drive my family crazy. I read the food label on everything. I’ll be the first to admit that I’m far from perfect in what I eat, but I like to know what I’m eating. I use that label to make my choice. Eat this or that. Which will help me get closer to my goal? What should I stay away from at all costs? Which items am I eating that don’t help me get closer, but satisfy a craving, and how can I factor that into my overall intake? Serving size: Many people mistakenly believe that they’re eating one serving when in reality they’re eating more. Take the label below. It’s from a bagel. If you’re eating a bagel, you would expect that the serving size is a bagel. In this case, the nutritional profile is for a serving size of 1/2 bagel. If you’re eating the whole bagel, double everything. Total Fat: Limit the saturated fat and trans fat. These are the bad fats that clog your arteries. Unsaturated fat is the better fat that helps lower cholesterol, reduces triglyceride levels, and lessens inflammation in the body. Cholesterol: Limit this to less than 200 milligrams per day. Sodium: Limit this as well. Common recommendation is less than 2300 mg per day for adults and less for kids. Total carbohydrate: This one’s often mistaken as the enemy. It’s an easy scapegoat. Carbohydrate is your body’s primary source of energy and is needed for proper brain function. It’s also required for fat metabolism. Here’s what to look for in this area. Dietary fiber is good. Fiber fills you up and aids in intestinal health. The current recommendation is 38g daily for males and 25g daily for females. Sugars should be limited to no more than 10% of total calories in most cases. The exception is when you’re taking in carbs for quick energy, in which case you’ll be fine with a higher percentage. Keep in mind though that as part of a balanced diet, sugars aren’t really adding much benefit. Other carbohydrate includes the number of complex carbs, excluding fiber. A higher number here generally infers a more nutritious carb profile. Note: The wider the difference between total carbs and sugars the better. If there are 28 total carbs and 14 are sugar, 50% of the total carbs are added sweeteners and therefore aren’t going to do much for you. Protein: Protein is comprised of amino acids which are the building blocks of muscle. This macro nutrient is also the more difficult for the body to digest, meaning that it has to work harder and you use more calories in the digestion process. Recommendations vary on the percentage of protein needed. A commonly used figure is to shoot for 0.4 to 0.8 grams per pound of body weight per day. That may or may not work for you though depending on your dietary requirements and restrictions. Vitamins: This section will tell you the percentage of key vitamins and minerals contained in the food. Ingredients: The list of ingredients will be listed in order of the content. For example, of water is listed first, there is more water than any other ingredient. Look for ingredients that you can pronounce. The fewer things that you can’t pronounce the better. That’s the back of the package. There are a few things you should consider on the front of the package as well. Food producers are marketing masters and they’ll take every opportunity to capitalize on the latest public fad. I was in a store the other day and noticed the words “A Fat Free Food” on the front of a package of licorice. Someone might be tempted to think it’s better for you than another licorice not using that same label. Take a look at the back of that package though and you’ll find that it’s almost all sugar. Calorie free: Less than 5 calories per serving. Cholesterol free: Less than 2 mg cholesterol and 2 g or less saturated fat per serving. Enriched or fortified: Nutritionally altered so that one serving provides at least 10% more of the Daily Value of a nutrient than the comparison food. Extra lean:Less than 5 g fat, 2 g saturated fat, and 95 mg of cholesterol per serving and per 100 g.
Fat free: Less than 0.5 g of fat per serving. Good source (as in “a good source of”): One serving provides 10-19% of the Daily Value for a particular nutrient. High (as in “high in vitamin C”): One serving provides at least 20% or more of the Daily Value for a particular nutrient. Lean: Less than 10 g fat, 4 g saturated fat, and 95 mg cholesterol per serving and per 100 g.
Low cholesterol: 20 mg or less cholesterol and 2 g or less saturated fat per serving. 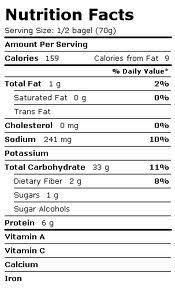 Low fat: 3 g or less per serving. Low saturated fat: 1 g or less saturated fat per serving and 15% or less calories from fat. More: One serving contains at least 10% more of the Daily Value of a nutrient than the comparison food. Reduced: A nutritionally altered product which must contain 25% less of a nutrient or of calories than the regular or reference product. Salt or sodium free: Less than 5 mg per serving. Sugar free: Less than 0.5 g of sugars per serving. Very low sodium: Less than 35 mg or less sodium per serving.